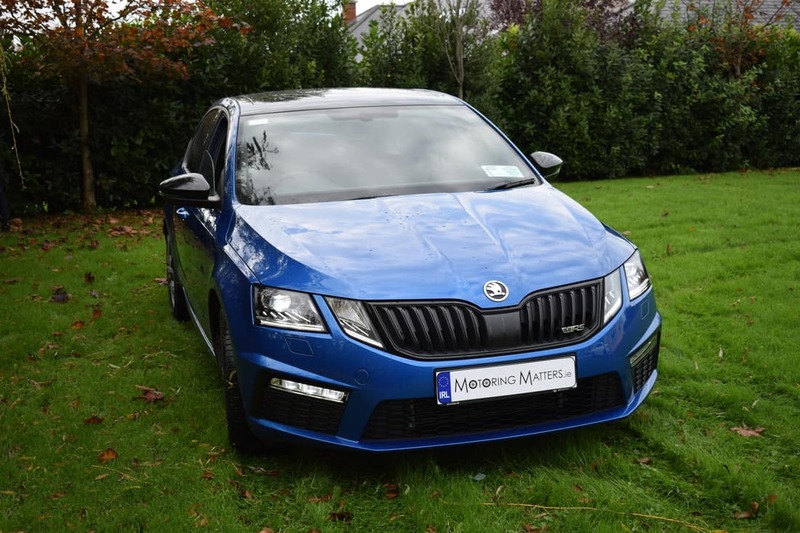 Czech car manufacturer, Skoda, have been on the crest of a wave over the last few years with record levels of sales in Ireland and throughout the whole of Europe too. Having just spent a week in Skoda’s stunning Octavia RS it is easy to see why this is the case. 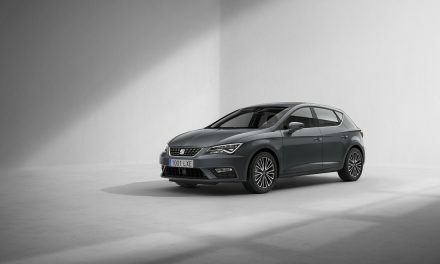 Part of the giant Volkswagen group since 1991, Skoda’s cars keep going from strength to strength and are now a serious force to be reckoned with in the motor industry. 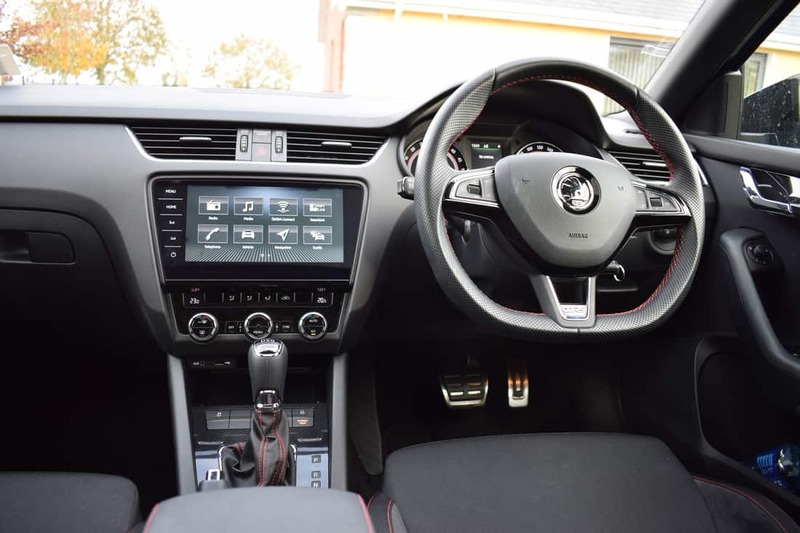 My test car had a super-smooth, and ultra-responsive, 2.0-litre turbo diesel (TDI) engine under the bonnet which produced an impressive 184bhp, yet returned fuel consumption figures as low as 4.9l/100km. Emissions for this car are 129g/km, resulting in annual road tax of just €270. The obligitory 0-100 km/hr sprint took just 7.6 seconds to complete and the car will happily run on to 228km/hr where permitted. 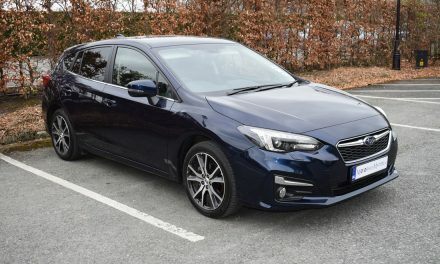 A faultless DSG (automatic) gearbox – with paddle controls behind the steering wheel – made driving this car super-easy and super-fun, while the car’s road-holding was always composed and sure-footed. Standard safety features in this RS model include (but are not limited to) automatic fuel cut-off and door unlocking in the event of a crash, automatic warning lights in case of panic braking, electronic stability control, seven airbags, 2 x ISOFIX child seat anchorage points on the outer rear seats and three 3-point rear seat belts. Comfort features include electrically adjustable and heated door mirrors, front & rear electric windows, split-folding rear seat backs, height adjustable driver & front passenger seats, boot spoiler, Bluetooth phone connection, dual-zone air-conditioning, rear parking sensors, reversing camera, cruise control, automatic lights & wipers, 9.2-inch infotainment radio system with 8 speakers, in-car WiFi with additional SIM card slot, ‘Columbus’ sat-nav, Smartlink +, umbrella holder with umbrella under the front passenger seat, tyre pressure monitoring system and a centre console with a storage compartment and front armrest along with many other quality features. 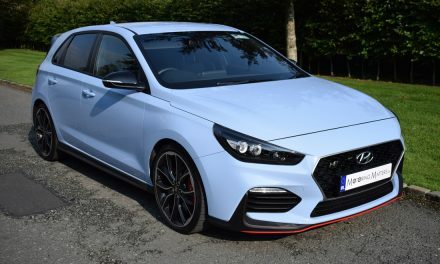 Race Blue metallic was the colour of my test car and it looked amazing with beautiful (optional) 19” ‘Extreme’ alloy wheels and red brake calipers. Bi-Xenon headlights with AFS (Adaptive Frontlight System), LED daytime running lights and LED rear lights really added visual impact and practicality too. The Skoda Octavia is available in a variety of engines (petrol & diesel) and specification, while the bodystyle choice is either a practical hatchback – as was the case with my test car – or a super-practical Kombi (estate). 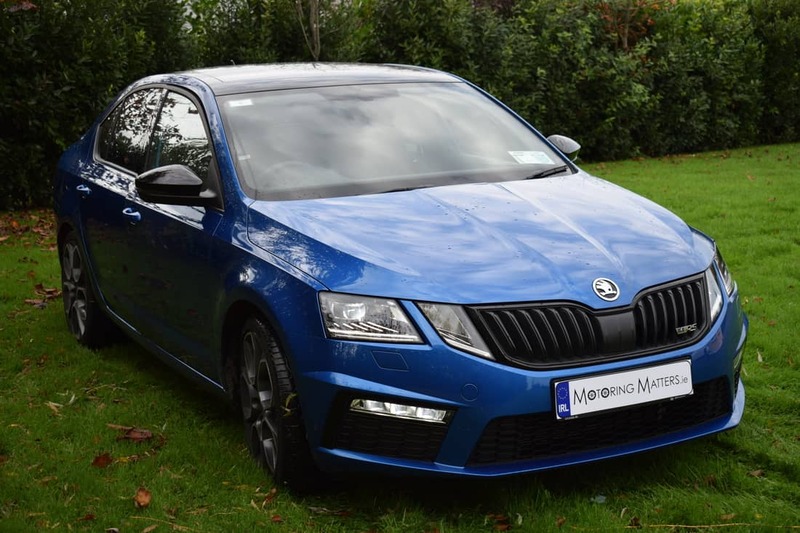 The Octavia range starts at a very competitive price point of just €19,750 (ex works) for the 1.2-litre petrol model in Active specification. 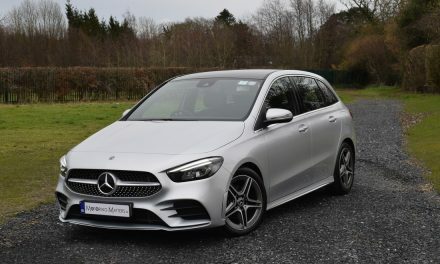 The (ex works) price of my test car – excluding optional extras – was €36,795. A three-year warranty is standard on all Skoda cars, as is a 12-year anti-perforation warranty. 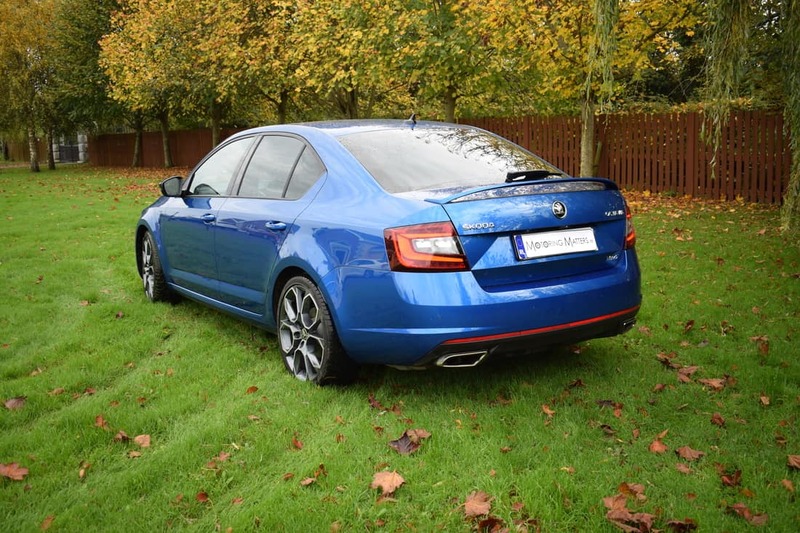 The new Skoda Octavia RS is not only ‘Simply Clever’ – it is ‘Simply Desirable’ too. Why not ‘Czech’ it out for yourself.